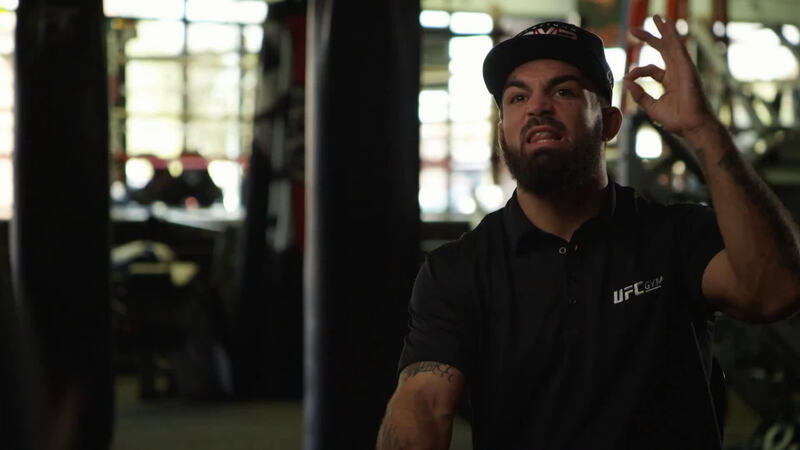 After making a change in training camps, Mike Perry immediately saw benefits. Heading into UFC Denver, he's excited to challenge one of UFC's longest-standing veterans and make his own mark in the division. Six months into his time at Jackson-Wink MMA, Mike Perry couldn’t be happier. The flamboyant fighter decamped from his Florida home for the Albuquerque, New Mexico outpost two months prior to UFC 226, where he was initially scheduled to face Yancy Medeiros before injuries and reshuffling landed him in the cage with Paul Felder. “Frank the Tank” is former Ultimate Fighter contestant Frank Lester, a middleweight bruiser who transitioned to coaching and whom Perry identifies as a kindred spirit. The duo immediately bonded over their shared affinity for body art, shoes and punching people in the face really hard, and even within that short initial time working together, the improvements in Perry’s approach were noticeable. Entering on a two-fight skid, the 27-year-old finisher showed more poise and composure in his bout with Felder, waiting for openings to present themselves and letting big shots come to him rather than swinging for the fences and trying to force things. It was a more refined version of the ultra-aggressive, powerhouse style that has turned Perry into a cult favorite over the course of his two years on the UFC roster and one that he hopes will help lead him to great heights in the years to come. “We’re both tatted up and we like shoes,” he says of Lester, “but he’s a grown man who has been to war — actual war — as well as in fighting. There’s a mindset there that I have never been able to learn because I didn’t go to the military and he’s gotten to show me and tell me some stories. It’s a totally different mindset. It’s a killer mindset. Plus, he holds mitts well. After a strong showing in his first bout since connecting with Lester and becoming a part of the Jackson-Wink Team, Perry is promising an even better performance in his second appearance this weekend against a fighter with close ties to the team Perry now represents. “I’m way better, way more comfortable with all the things that we were trying to do in the Felder fight ,” says Perry, who faces Donald “Cowboy” Cerrone in the co-main event of this weekend’s 25th Anniversary show at Pepsi Center in Denver, Colorado. “I don’t think “Cowboy” Cerrone is going to move as well as Felder did, including the fact that Felder broke his arm, which made him move more. This is a fight Perry sought out and when it was booked, it caused a schism within the high-level Albuquerque gym. After years of splitting time between training in town and logging hours in the gym he built from scratch at his BMF Ranch in nearby Edgewood, Cerrone officially parted ways with his long-time team, with a handful of other tenured members of the Jackson-Wink ranks following suit in the last several weeks. For Perry, pursuing the fight with Cerrone wasn’t about causing friction with the gym and being the catalyst for a series of changes. Instead, it was about taking aim at an established veteran with an exciting style and trying to take his place in the pecking order heading into 2019 and beyond. “He’s got all the attention and a bunch of fans because he’s fought hard and put on some great shows over the years, but it’s my turn,” says Perry, breaking down why he pushed for the bout with Cerrone, who is tied with Georges St-Pierre and Michael Bisping for the most wins in UFC history with 20. “You’ve got to pass the torch at some point. I’m here to come pick up the torch, make my way towards the title shot and maybe do some things he was never able to do. Through the first two years of his UFC career, Perry has maintained a Cerrone-like pace, fighting eight times in his first two years on the roster, and he shows no sign of slowing down. But fighting regularly and climbing the list of all-time win leaders in UFC history are two different things and Perry is acutely aware that he’s got work to do in order to stay active and consistently put up victories. “I’ve just got to keep my body fresh, stay capable of pulling off these moves and fighting the way that I fight,” he says. “I don’t know what my body is going to be like in three years, but I’m going to assume that I’m going to be great. I’m going to be young, strong, healthy and hungry. I’ve just got to stay hungry. And that’s precisely what he plans on doing when he steps into the Octagon with “Cowboy” this weekend. “I’m going to bring these hands against “Cowboy” on Saturday night,” says Perry. “These hands are going to be the difference-makers and if he holds his head up in the middle, I’m going to stay away from his kicks and then I’m going to get inside.